Cristiano Ronaldo netted a goal and set-up a late finisher for James Rodriguez to help Real Madrid over Roma in the last-16 champions league clash to the tune of 2-0. But the Portuguese native wasn’t met with love from the Bernabeu faithful, but rather boos. Yes, despite it being Ronaldo’s 40th goal of the season and 90th career goal in Champions League, the crowd lofted jeers and whistles upon the superstar striker.Speculation is that the boos could be a result of Ronaldo’s recent comments about his teammates. The ego-fueled star rubbed some the wrong way when he suggested that Real would be doing better if the entire team was at the same level he was at. Ronaldo later said that he meant ‘fitness level’ rather than talent, but really, who on Real isn’t fit? 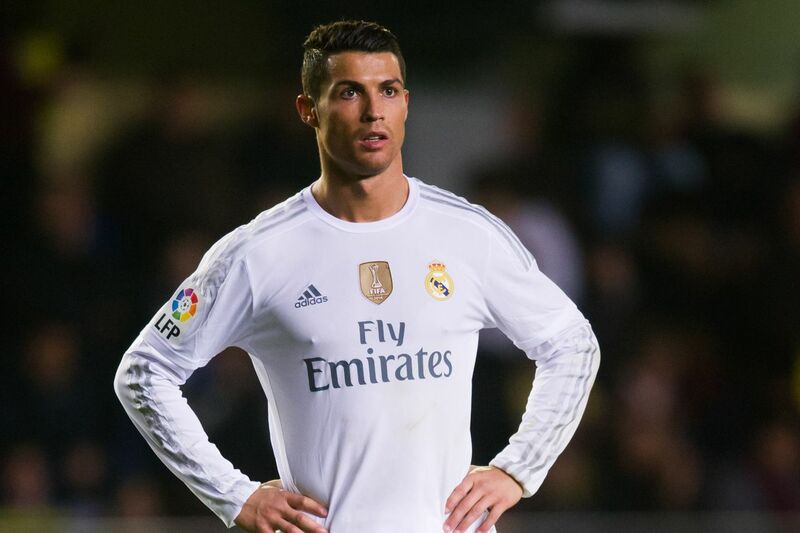 Fans reaction could also be due to transfer rumor news that Ronaldo is ready to end his time in Madrid. Drama that has developed between Ronaldo and Gareth Bale sparked the last series of transfer rumors, and possible friction between new manager Zinedine Zidane. The duo have had strong chemistry at Real Madrid for years. Time will tell whether Zidane is being honest, or rather he’s hopeful that Ronaldo will find another gear as a result of the backlash.